Full Mouth Rehabilitation - Dr. Isaac Comfortes, D.D.S. Sometimes oral health problems are complex and require a carefully planned sequence of treatment…but have hope! 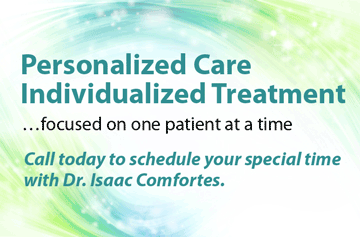 Dr. Isaac Comfortes has been solving complex dental puzzles with long-lasting success for over 25 years. Dr. Isaac Comfortes is one of Encino, California’s foremost dentists for solving complex oral health problems. Comprehensive full mouth rehabilitation will enable you to be the confident person you want to be with comfortable full function and a naturally attractive smile. In your personalized treatment, several restorative procedures can be used to restore the health of periodontal tissues, replace missing teeth, repair compromised teeth, and address aesthetic goals. Based on your set of oral health issues and cosmetic goals, Dr. Comfortes will develop the most efficient and effective plan of treatment to achieve optimal oral health, comfort, function, and a beautiful smile. He may recommend a combination of periodontal treatment to combat gum infection, bite splint therapy to treat TMD and stabilize your jaw joints, orthodontics to align your teeth, root canals to remove infection from the roots of your teeth, crowns to restore damaged teeth, removable or fixed bridges and dentures including dental implant procedures to replace missing teeth, tooth-colored composite fillings, bonding, veneers, occlusal modification for a more even bite, cosmetic teeth whitening, tooth crown lengthening and gum recontouring. 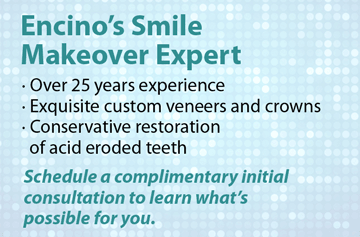 Dr. Comfortes will work hand-in-hand with you to design your full mouth reconstruction and cosmetic restoration. Understanding the connection between oral and physical health, he takes a comprehensive approach to restorative care. He will not only repair dental damage, but he will also address any present gum inflammation, your dental alignment, your jaw health, and the balance of your bite. He will spend considerable time planning your treatment using casts of your mouth and the latest knowledge and technology, and then explain his recommended plan and any treatment options. You will be fully informed prior to accepting treatment and deciding on alternative treatments. Your concerns will be listened to and addressed. You will be part of the planning every step of the way. If you have been suffering from a number of oral health issues or had dental treatment in the past that did not solve your problems, have hope. In the care of an expert restorative dentist, full mouth rehabilitation will be achieved and will provide significant advantages for your overall health and quality of life. First, comprehensive treatment can prevent further tooth loss and dental damage. If you include implants as part of your treatment, they can also prevent bone degeneration. Second, Dr. Comfortes can restore your dental function, allowing you to eat, speak, and smile freely. By repairing your bite alignment and balance, reconstruction will reduce your risk for bruxism and TMJ Disorders (TMD). With restored health and function, your nutrition and digestion will improve. Inflammation in your body that fuels systemic diseases will be brought under control. Finally, the combined procedures can enhance your appearance, restore your self-confidence, and end the embarrassment of dental damage. You will have a new beautiful smile. At Total Health Dentistry of Encino, we believe every patient should be offered the highest standard of care and that you are a special person deserving of comfort, health, full function, and confident appearance. We believe your dentistry should last, and it can be achieved through a comprehensive expert plan to solve all underlying problems. 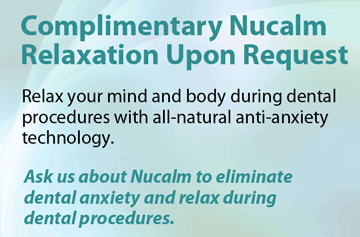 For your dental appointments, you will be offered the NuCalm™ deep relaxation system and can experience dentistry in more relaxed comfort than you may have experienced ever before. Extensive dentistry, like full mouth reconstruction, can be done in affordable phases or financed via your credit card or Care Credit. 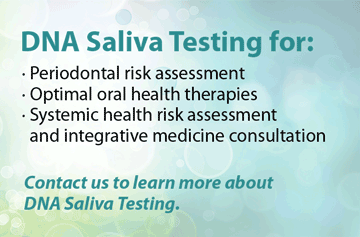 Schedule a consultation for comprehensive treatment of your multiple oral health problems. To learn more about full mouth rehabilitation and the comprehensive treatment that will predictably solve your problems and restore the health, function, comfort, and confidence you desire, schedule a consultation with Dr. Isaac Comfortes in Encino today.